The decision to get inked is one of the most important decisions you will ever take. Because tattoos are permanent, you need to get something that isn’t only attractive but also describes you perfectly. 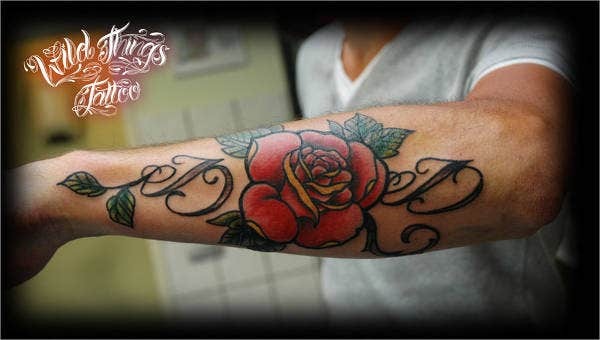 If you are planning to get a Tattoo Designs on your forearm, don’t worry, we have brought to you a range of designs and ideas to choose from. You can go through the designs here and then choose whichever ones you like. 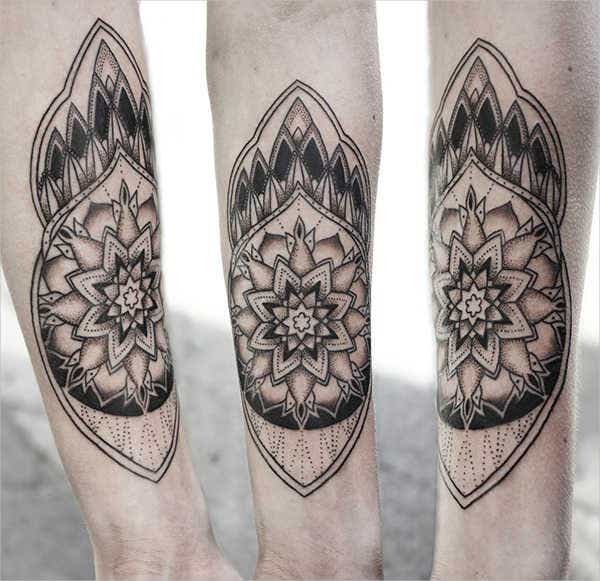 Geometric Tattoo Designs look just great when it comes to tattoos for your forearm. As you can see for yourself, the geometric pattern doesn’t look clumsy either here. Do you love the piano? 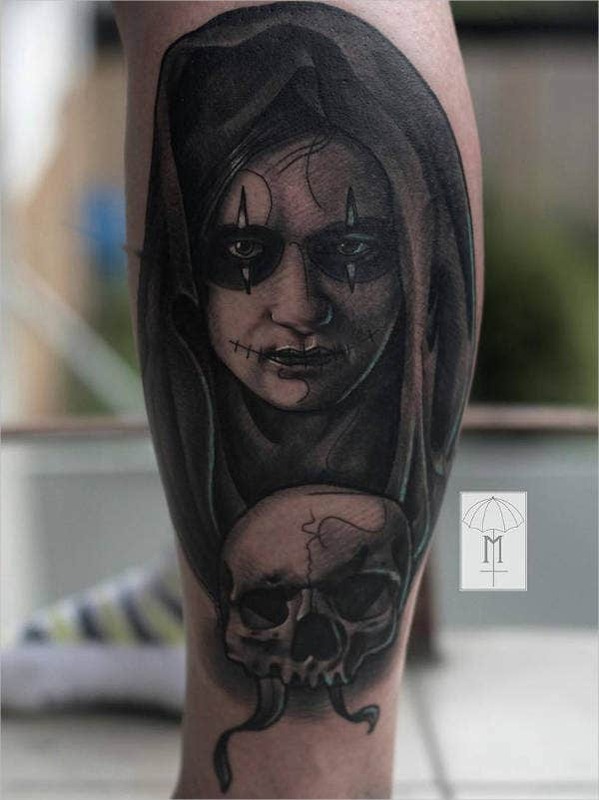 Then you could show your love for it with the help of this Unique Tattoo Design. This piano design would be perfect for arm tattoo designs. 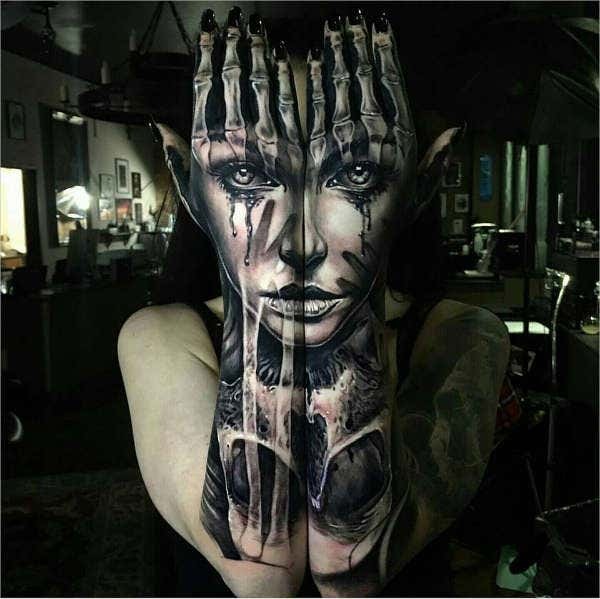 This beautiful girl tattoo design is the perfect example of unique tattoos. If you want to get something that is out of the box and creative, you must go for this template. When you think of mermaids, you usually think of colors. However, if you want to get hold of a unique tattoo that hasn’t been used before, you can use this template here. Do you want to be treated like royalty? Well then, this tattoo template is perfect for you. 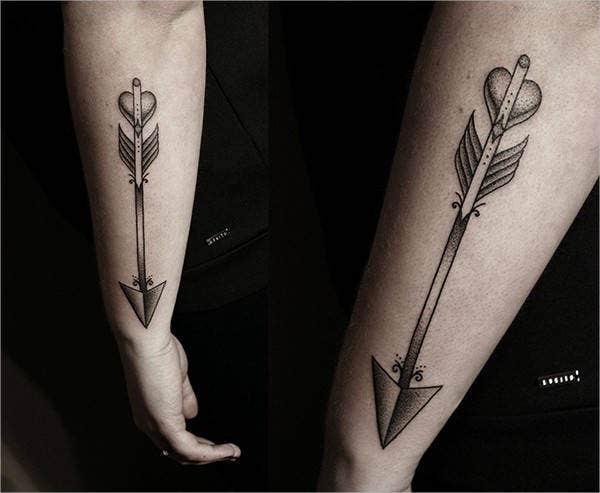 For your forearm, you can use this tattoo design which looks like a crown. 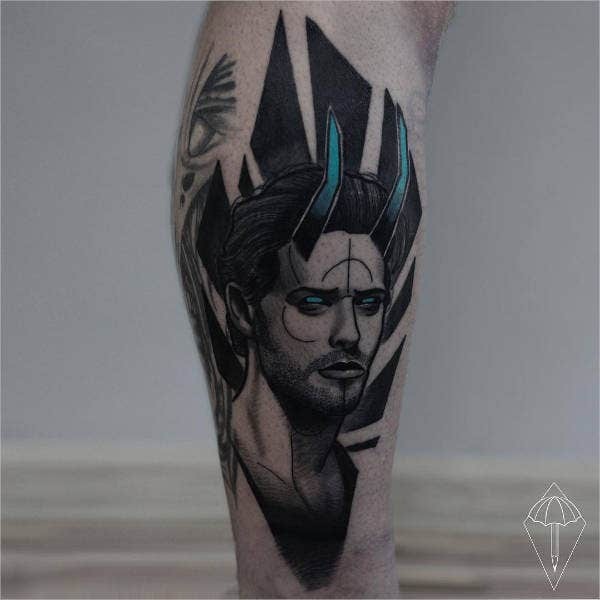 Do you want your tattoo to have a kind of 3D effect? 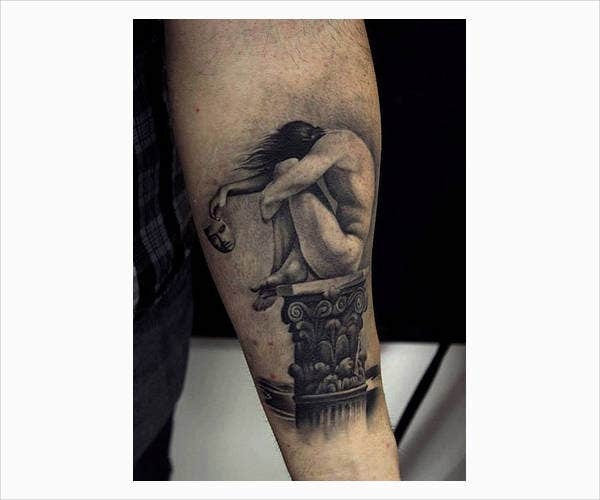 Then this dot artwork tattoo design is the perfect example of 3D tattoo designs and would work as a great sample. Angels are common choices when it comes to tattoos. If you too want an angel tattoo on your forearm, then you can use this stunning sample of a template here. 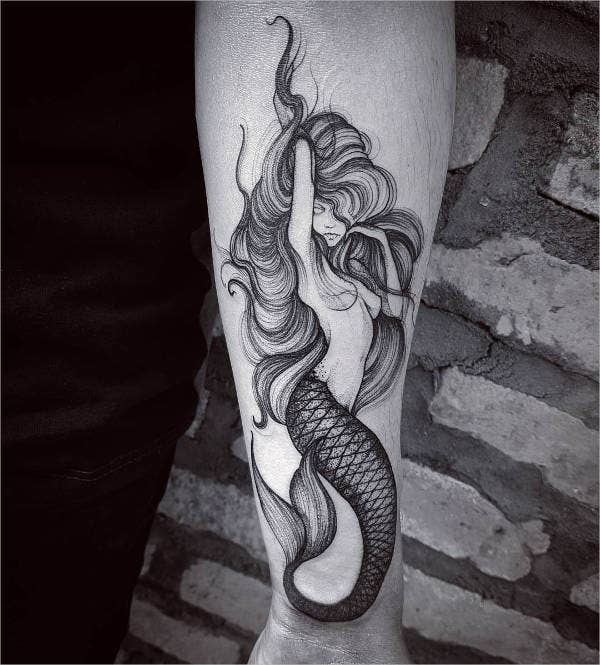 Tattoos should be beautiful, stylish, creative, and unique. 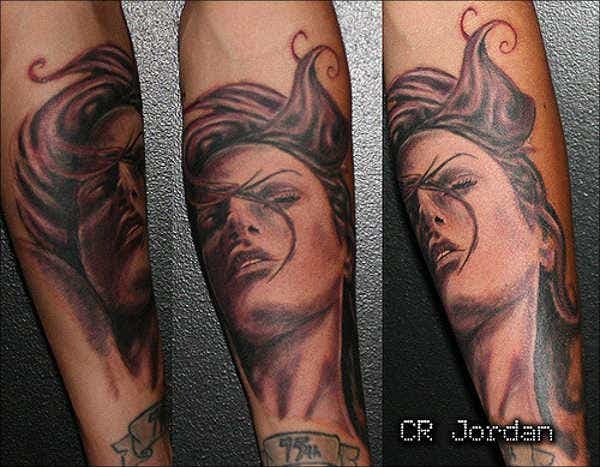 That is exactly what you get with this beautiful forearm tattoo here. You can use this tattoo template as a sample. Bring out the wicked side in you with the help of this template. If you wanted a forearm tattoo design that is unique and not mainstream, you should go with this template. 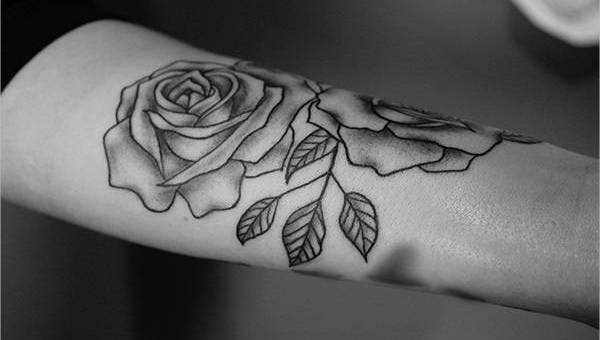 You don’t have to stick to the common theme of roses when it comes to tattoos. 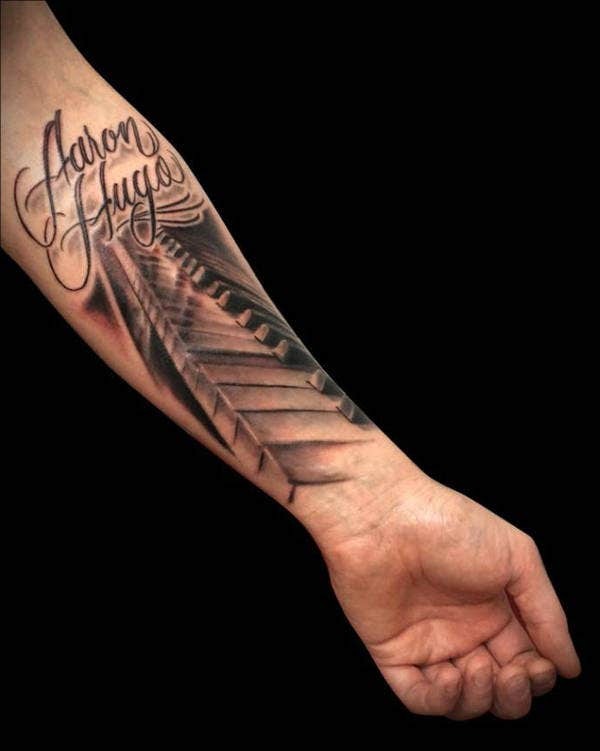 Adding the letters to your tattoo not only makes it stylish but also adds a personal touch. 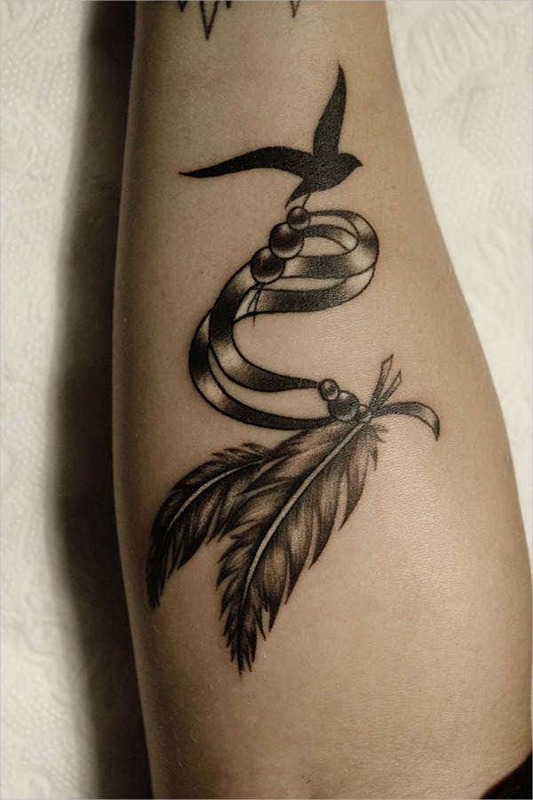 Feather designs make really good tattoos. That is because they have an intrinsic design which requires a whole lot of concentration and makes the artwork worth it. 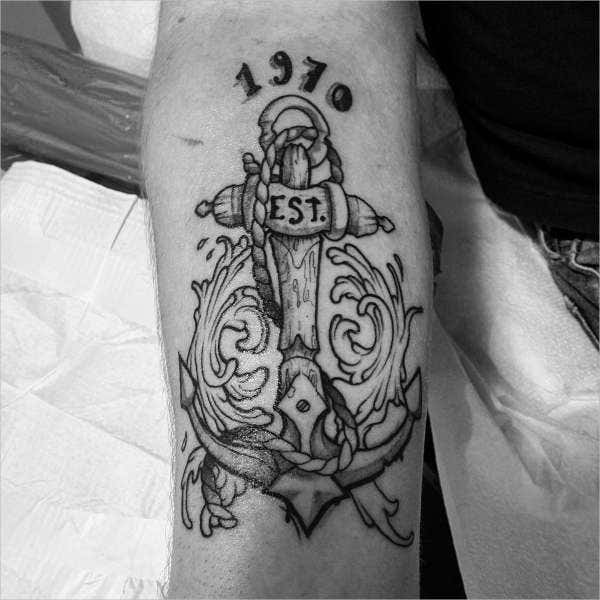 If you are planning to get inked, why not go for a tattoo design that is vintage and retro? 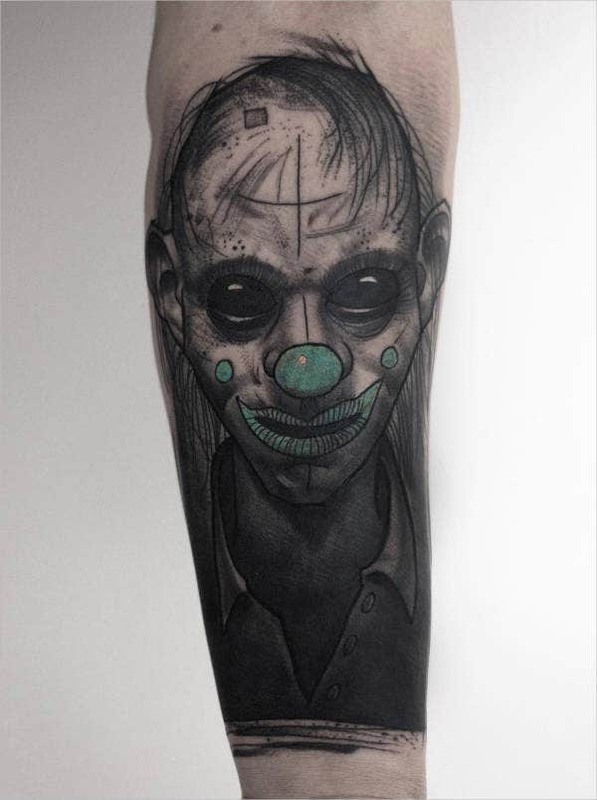 It would certainly stand out from the other tattoos. 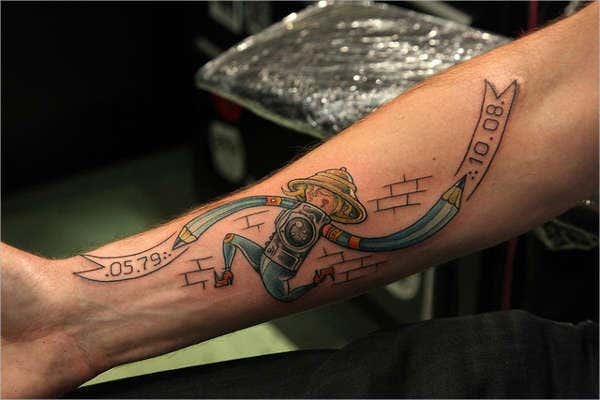 Also, this tattoo could act as a sample. 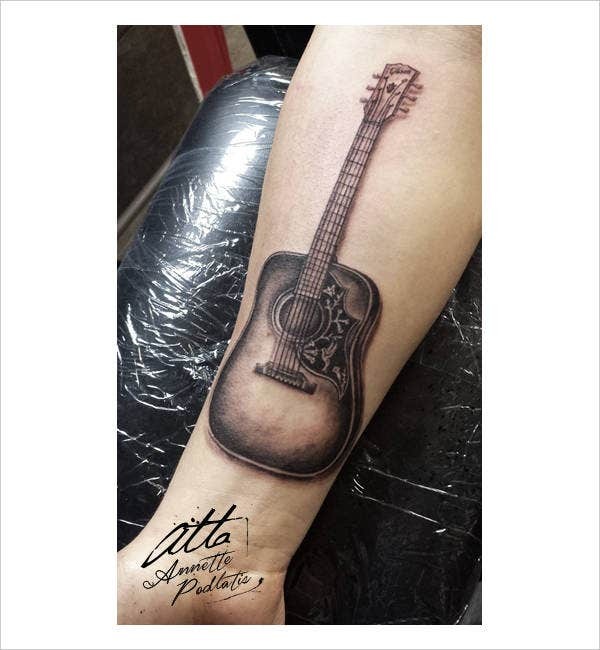 If you are a lover of music, then the kind of tattoo you get should demonstrate that. 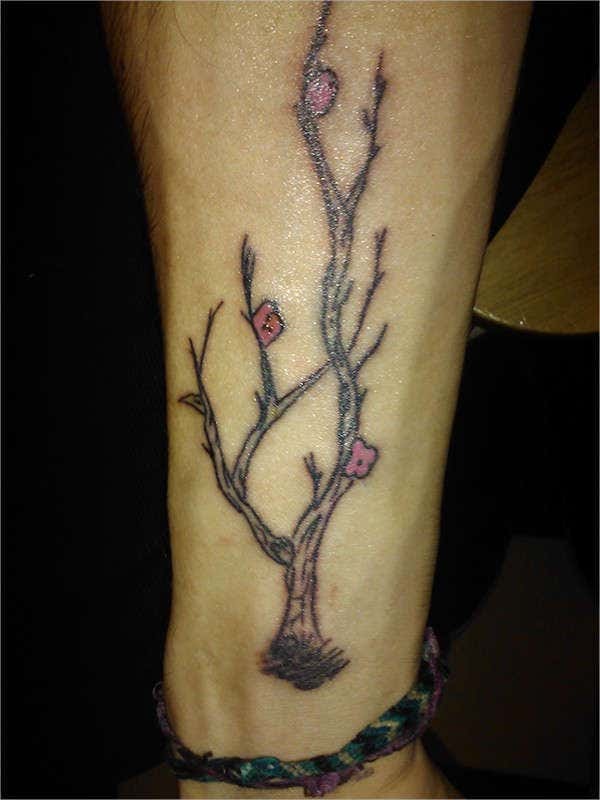 One way of doing so is getting hold of a guitar forearm tattoo like the one here. 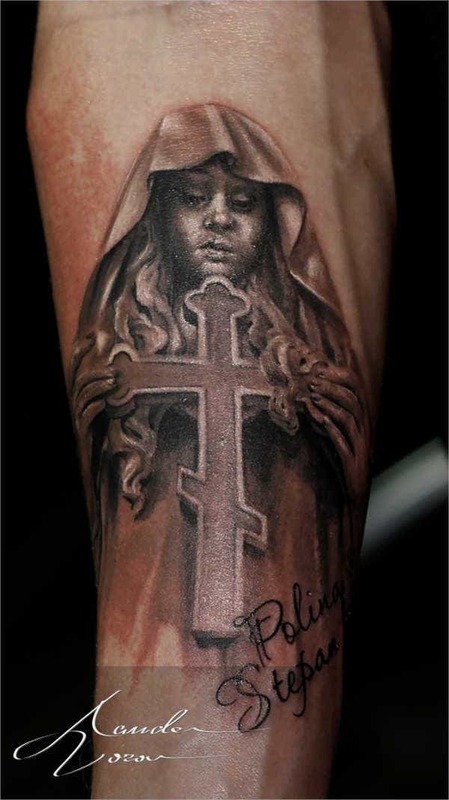 In this section here, we bring to you a series of tattoo designs – all for your forearm. These designs would look great on your forearm and are sure to be envied by your friends. Also, the Tattoo Designs are easy to use. You can just download them and use them as a sample.